The demand for BBM for iPhone and Android has been insane. Since it’s release on Monday the app has been download over 10 million times and has quickly shot up to the number two spot in the iTunes App Store. Of course all this demand hasn’t been all good news, it’s forced BlackBerry to use a wait list after too many sign ups on a beta version of the Android app delayed the release a few weeks ago. 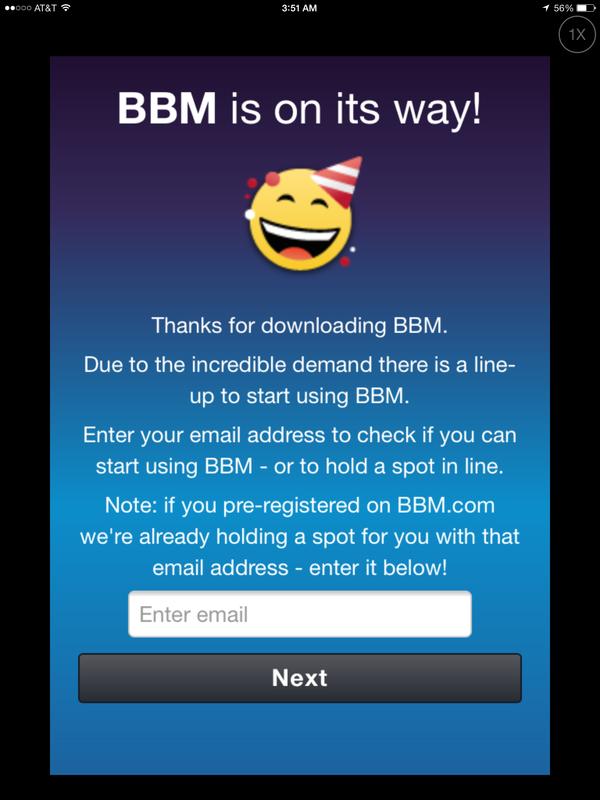 And while the long wait is tough for those looking to get back into BBM, there have been some tips that tried to help you get past the wait. CNET found one where you have to open and then force close the app but we found one that we think is simpler. Just ask a friend who already got into the app to for the email address they used to sign up. When you first open up the BBM app you’re asked to enter in the email address that you used to pre-register on BBM.com or to sign up. Instead of entering your own email address here just enter in the email address of your friend who already got in. The email address needs to be the one they used in the BBM app to sign up and the one that got sent the email telling them they could sign up. That’s it. 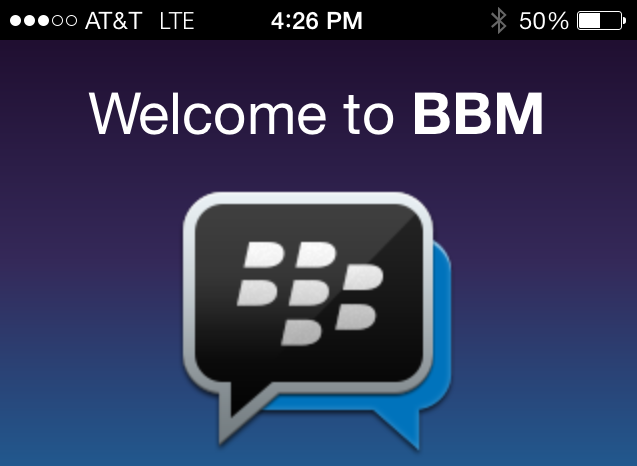 From there you’ll see the “Congratulations!” screen to let you get started with BBM. 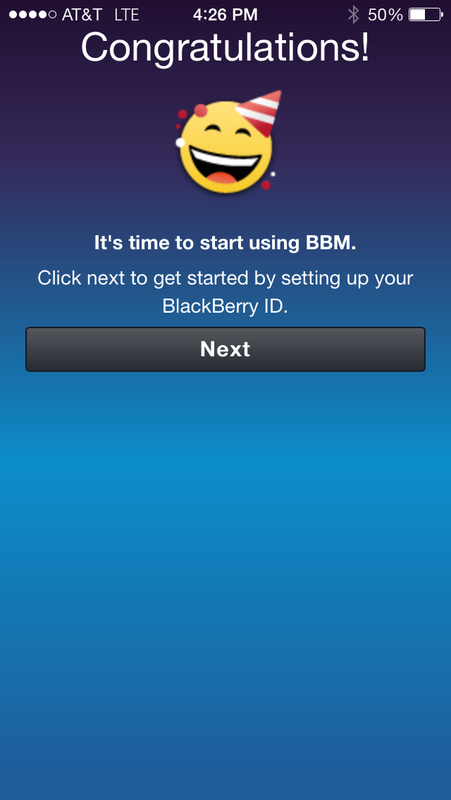 Tap “next” on that screen and you can create your BlackBerry ID using your own email address, get your PIN and return to the world of BBM. No more waiting. And don’t worry, this does nothing to affect your friend’s email or their BBM. This just gets you into the app and from there you can create your own BlackBerry ID with your own email address. We’ve tested this a few times using BBM for iOS on an iPad and iPhone 5S using multiple email addresses and each time it worked perfectly. Now as for finding those friends who already got in, odds are you’ve probably already seen them post their new PINs on Facebook, so just message them and see if they can help you out. Posted in Cell Phones, Misc. It has been a while since BlackBerry fans had any reasons to be excited but these past few months have provided a lot of hope. The long-awaited BlackBerry 10 finally had its official unveiling at the end of January and now the first of the US carriers has announced a release date for when you’ll be able to buy some of the new BlackBerry 10 phones. Yes, on March 22nd AT&T will release the BlackBerry Z10 for $200 with a new 2 year contract. For those who don’t know, the Z10 is the all touchscreen BlackBerry 10 phone and has a 4.2 inch 720p HD screen, dual-core 1.5 GHZ processor with 2 GB of RAM (so things run quickly and without lagging or freezing), 16 GB of built-in storage (with a microSD card slot adding more), an 8 megapixel back camera and 2 megapixel front camera for HD video chat, NFC (so you can do things like share files or use your phone as a credit card just by tapping it), and 4G LTE support. The Z10 however lacks the hardware keyboard BlackBerry is known for, and if you want that you will need to wait a little longer for the Q10 which BlackBerry said back at their January event won’t be available until April in the US. For everything you need to know about the Z10, Q10 and BlackBerry 10 see our earlier post here. Verizon and T-Mobile are also expected to launch the Z10 soon, though neither carrier has announced an exact release date for their versions (Verizon has said that their Z10 will also cost $200 with a new 2 year contract). We’ll of course keep you updated on that as we learn more. While we liked what we saw in the Z10 when we checked it out a few months ago, it’s still hard for us to recommend it with great new phones like HTC’s new One due soon and Samsung’s big Galaxy S IV event on Thursday. Honestly with everything that’s about to go down in new phones we would strongly recommend waiting a little longer before upgrading and signing any new 2 year contract. But if you’re on AT&T and are set on getting the Z10 you can pre-order it now from AT&T. As we get closer to Research In Motion’s big BlackBerry 10 unveiling in 15 days, more details have begun to leak out as to what we can expect in the new BlackBerry 10 phones. Over the last few days in particular we learned a lot about BlackBerry 10, so here’s the latest.